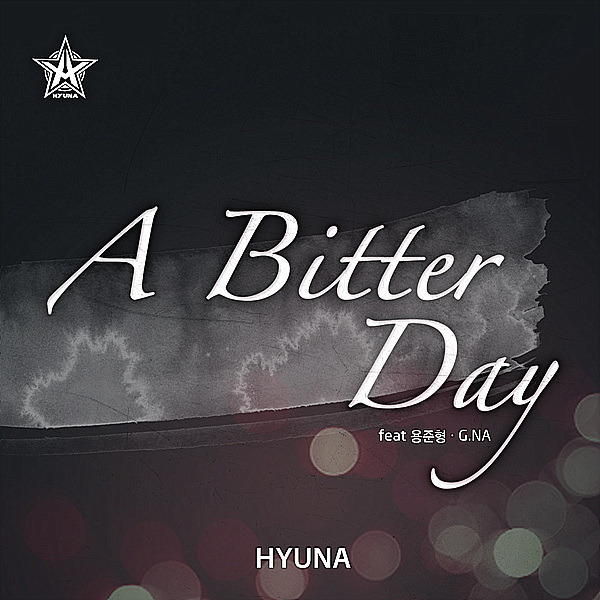 Today, HyunA, of the girl group 4Minute, released a new single, A Bitter Day. I can’t really call this effort a solo work, considering that it’s more of a Cube Entertainment collaboration, featuring G.Na and B2ST‘s JunHyung, but the different parts go nicely together. I particularly liked JunHyung and HyunA’s rap conversation of sorts. Can I just say, someone at Cube Entertainment is on the ball as far as sad, but good songs go. First was Fiction (which I LOVED! ), now A Bitter Day. Perhaps said someone needs some chocolate or a good latte (The ‘latte’r one works well on me!! ), but maybe not, since they’re cranking out such melancholic goodness. Now, if I didn’t know better, I would think they were saying. A Better Day (Really, G.Na, you’re a native English speaker, you should be able to enunciate between better and bitter…). With my limited Korean, maybe I could listen to it and pretend the lyrics are happy, or at least hopeful, right? What are your thoughts/reactions? Like? Dislike? Weeping your eyes out, bitterly shouting ‘It’s true!’ at the screen?